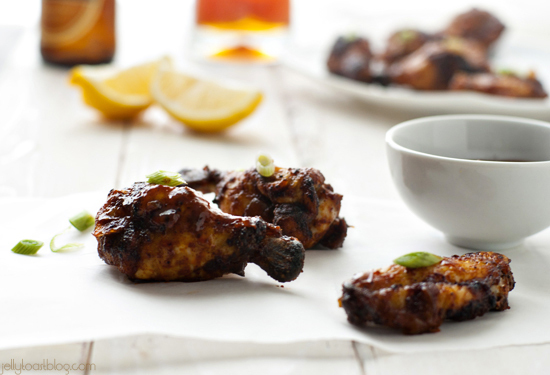 I am just about bursting with excitement to share with you some incredible news along with the most flavorful BBQ chicken wings recipe I have ever tasted. Let’s start with the news: I am joining forces with a group of über-talented super bloggers on the new food and recipe website called Food Fanatic. The company that I am keeping over there is so amazing that frankly, I’m completely intimidated. These are bloggers that I have followed. That I have drooled over (their recipes, not the bloggers themselves, of course). And now all of a sudden, I find myself grouped in with them. I am pinching myself. Seriously. One of the (countless) things that I love about Food Fanatic is that each contributing blogger will be focusing on a different area or type of food. I am out-of-my-mind excited to be focusing my Food Fanatic efforts on snacks and appetizers. I mean, come on. Who doesn’t love to cook, eat and talk about snacks? So what does this mean exactly? Well, twice a month I will be sharing a new snack or appetizer recipe over on Food Fanatic, complete with all of the crazy ramblings that you find here on Jelly Toast. And those of you who read my ramblings every day deserve a medal. 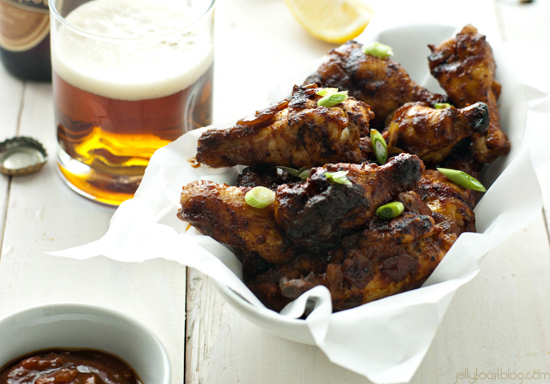 Or at least these awesome chicken wings. Because, man, they are phenomenal. The BBQ sauce on these wings is un.be.lievable. Spicy, smoky, citrusy, sweet; anything and everything a BBQ sauce should be. Plus, these little wingies are baked so it saves you all of the work of frying them up. 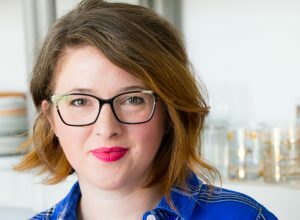 I couldn’t be more excited (and proud) to be included in the amazing bunch of cooks, chefs, bakers, writers and photographers that you will find over on Food Fanatic, and I can’t wait to share all of my recipes with you. 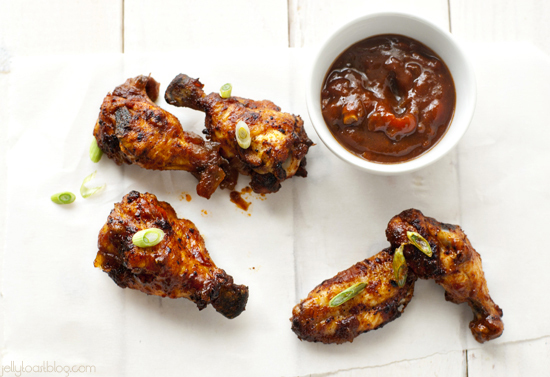 Now, I won’t keep you any longer so that you have time to pop over and get this amazing BBQ chicken wings recipe. Oh, and did I mention these would be utter perfection for your game day party? Because they totally would. We couldn’t be prouder to have you, Emily. Thanks for launching us right! Congrats on the new ‘job’! Can’t wait to see what you come up with! Quit pinching yourself!! You totally deserve a spot. Your work is beautiful. Heck, I don’t even like wings, but you’ve convinced me here. 🙂 I look forward to working with you!